Warren Baseball & Softball (WBSI) is a non-profit organization dedicated to providing children ages 4-15 with the opportunity to learn and play baseball and softball. Our coaches teach the fundamentals, while promoting fun, teamwork, good sportsmanship, and a love of the game. T-ball is open to boys and girls in pre-K and kindergarten. Softball is open to girls in kindergarten to 8th grade, who live in Warren, Watchung, or Green Brook. Baseball is open to boys in 1st to 9th grades. Buddy Ball, our special needs program, is open to individuals age 5-20. Games and practices are held at the Warren Municipal Complex located at 99 Bardy Rd., as well as a host of baseball and softball fields in Warren, NJ. Spring has finally arrived and the baseball and softball season is upon us! To welcome the season, WBSI will have its annual Opening Day parade and ceremony on Saturday, April 27th. The day will begin promptly at 8:30AM with a parade of all teams down Bardy Road towards the municipal fields led by our local sponsors, the Community Volunteer Fire Company, and the Warren Township Police department. Following the parade, a first pitch ceremony commencing the season will be held on field M3. Thereafter, based on the game schedule below, exhibition, mini-tournaments, and regular league games at all levels will occur. All baseball and softball players are encouraged to march in the parade in uniform. Players should gather with their team between 8AM & 8:15AM on M7 (the grass fields adjacent to the library and Mountain Boulevard). Bystanders can line up along Bardy Road to cheer on the parade participants. Individual and team pictures have also been scheduled as one of the many opening day activities. To ensure you don’t miss the opportunity to have a team and individual picture, please refer to the Picture Schedule below. To avoid overcrowding at the photo area, please arrive at your scheduled photo time. We look forward to a great season! Play ball! WBSI is a 501(c)(3) non-profit, all-volunteer organization offering baseball and softball leagues for children ages 4-15. Our coaches teach the fundamentals, while promoting fun, teamwork, good sportsmanship, and a love of the game. We are based in Warren, New Jersey. In addition to our spring recreation season, WBSI provides opportunities for our players to participate in spring & summer travel baseball and softball, fall baseball, fall travel softball, and winter skill development clinics. WBSI is a charter member of Cal Ripken/Babe Ruth Baseball League since the 1990s and a member of the Middle Atlantic Region Babe Ruth League, Northern New Jersey, District 12. We rely on the support and contributions of volunteers and sponsors to make WBSI one of the best youth leagues in the area. There are many ways to get involved: as a coach, assistant coach, team parent, and sponsor. We all share a common thread – we do it for the kids! SPRING 2019 TRAVEL BASEBALL REGISTRATIONS All baseball players, ages 7 to 12, interested in playing competitive baseball this spring are invited to register for Spring 2019 travel baseball tryouts.  The spring season consists of winter training (usually 8 weeks in Feb & March) followed by participation in a spring travel league that runs thru the end of June and in parallel with the town recreation program. All travel players must participate in the recreation baseball program as well.